Dr. Bauman stands out as one of the most influential people ever to work in the field of autism. Her latest work on early diagnosis represents the collective wisdom of a consensus of leading authorities and is poised to move this aspect of autism treatment forward in a positive and significant way. She is a pioneer in the study and treatment of Autism and is highly respected by her fellow clinicians and patients for the level of clinical care she provides and the advances that she has contributed to in the field. Dr. Bauman is a Neurologist and specializes in the diagnosis and treatment of Autism and various neurological disorders in children, adolescents, and adults to include learning and developmental disabilities, seizures, cerebral palsy, and neurogenetic disorders. Dr Bauman is the founding director of the LURIE CENTER, formally called LADDERS (Learning and Developmental Disabilities Evaluation and Rehabilitation Services). Dr. Bauman also established The Autism Research Foundation (TARF), The Autism Research Consortium (TARC), and The Autism Treatment Network (ATN). She has also made significant laboratory research contributions in the neuroanatomical understanding of Autism. 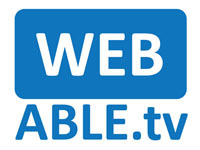 Internet TV Channel WebAble TV, (www.WebAble.TV) is pleased to present this first of a National Autism Perspectives Series of Town Hall Meeting Webcasts on the important subject of medical interventions and treatments for people with Autism Spectrum Disorders. This series will offer renowned subject matter experts on issues concerning persons with Autism to assist families, communities and decision makers in successfully handle all the challenges.